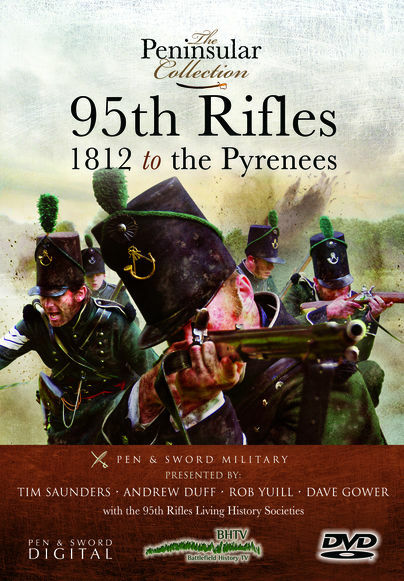 You'll be £16.99 closer to your next £10.00 credit when you purchase The Peninsular Collection: 95th Rifles - 1812 to the Pyrenees. What's this? FOLLOWING THE GREAT VICTORY AT SALAMANCA in July 1812 the Anglo- Portuguese Army, with the 95th Rifles to the fore, marched to liberate Madrid. While Wellington advanced to Burgos the Light Division remained to enjoy the unusual civilization of the Spanish capital. However, this was short lived as the French Marshals had been forced to unite under King Joseph against the Allied armies and the siege of Burgos failed. Another desperate retreat to the Portuguese frontier in appalling autumn weather conditions followed in which the 95th suffered cruelly as supply arrangements broke down. battle was a clear victory for Wellington, with the three battalions of the 95th all playing significant parts in overcoming the French defences on the river. Like Salamanca though, the battle was not a crushing defeat for the French as their forward line collapsed, meaning Graham's flanking columns could not envelope the French Army and, of course, the treasure of a nation was too much temptation for the British, who helped themselves to the riches. The final phase of the 1813 campaign saw the French driven back to their border in the mountains of the Western Pyrenees where they produced the Biddosa Line, from which Marshal Soult tried in vain to relieve pressure on San Sebastián. Finally, Wellington was ready to break the Biddosa Line and cross the frontier into France, with the Rifles ready to play a key part in the mountain battle on the slopes of the Great Ruhne. This is gripping stuff and shows off the military genius of Wellington.